Moving right along with my subscriptions... well at this pace I'll have January boxes!! Eeek, I'm so overwhelmed with things I need to blog about. Work really gets in the way of real life, right? 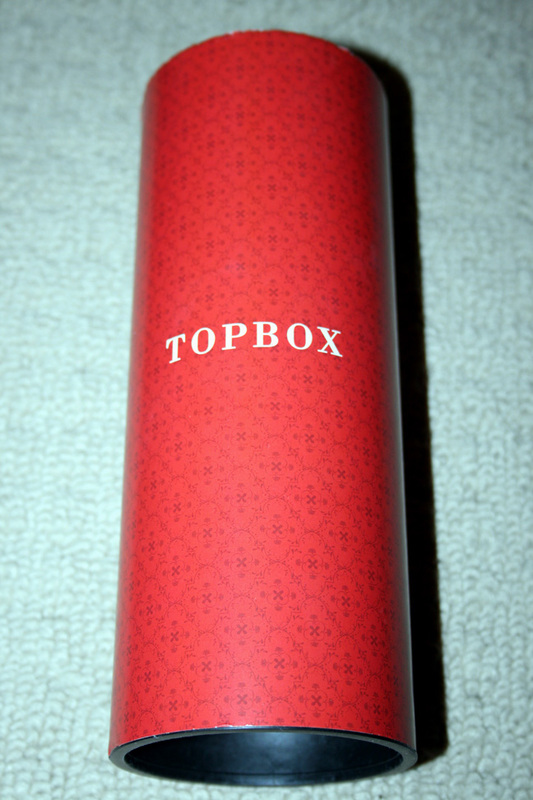 This months Topbox came in a red papered cylinder. I guess this made the box festive...? ;) I know a lot of people were upset that there wasn't anything Christmas themed in it...but that doesn't bug me. I don't think a company has to do something for someone just because it's a specific holiday. When it happens, though it's REALLY great and very appreciated. Julep is really good for this! Balenciaga Paris eau de parfum. Sample size is 4ml valued at $8.80. 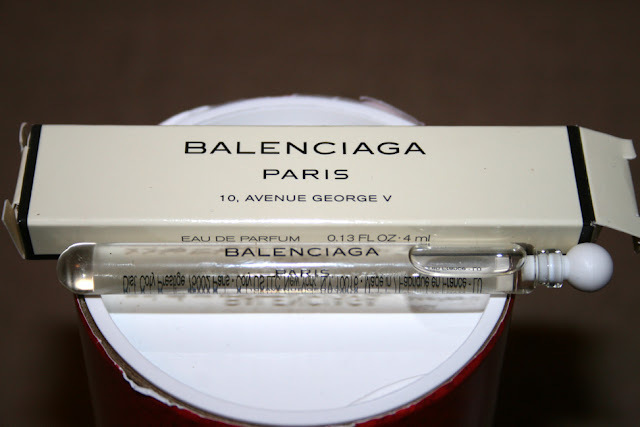 Full size is 50ml valued at $110.00. I don't mind receiving perfume samples. I actually really like perfume. The plus side of this one is that the tube is actually quite large. It's not one of those .0001ml tubes. It's unfortunate that this one has a stopper and not a sprayer though. I find those so messy. Style: light, mysterious, antique. Notes: violet leaf, pepper, cedarwood, patchouli, vetiver. Ferro Cosmetics Ultimate HD Foundation. Full size is 1 gram at $30.00. I won't even begin to estimate what the size/cost of the sample is. It is pretty small. The diameter of the jar is about the size of a loonie. 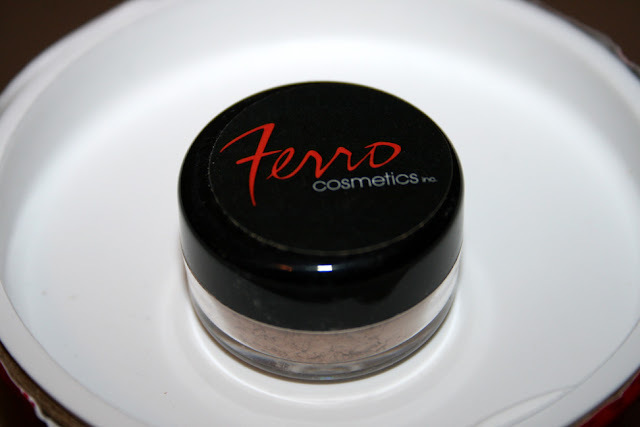 The nice thing about Ferro is that it is 100% natural mineral makeup. 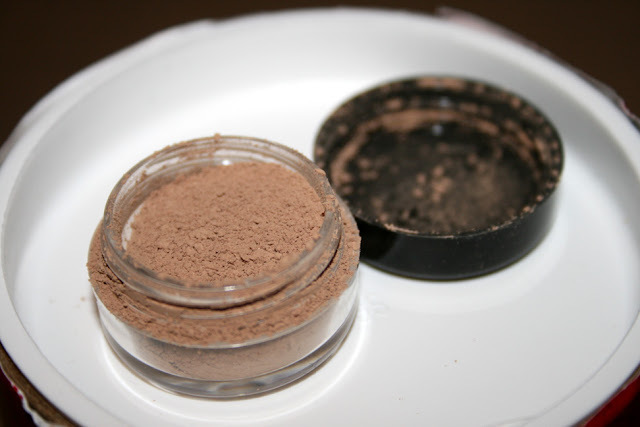 That said, I have no experience with loose powder foundation and I'm terrified at the thought of this..the possible mess! 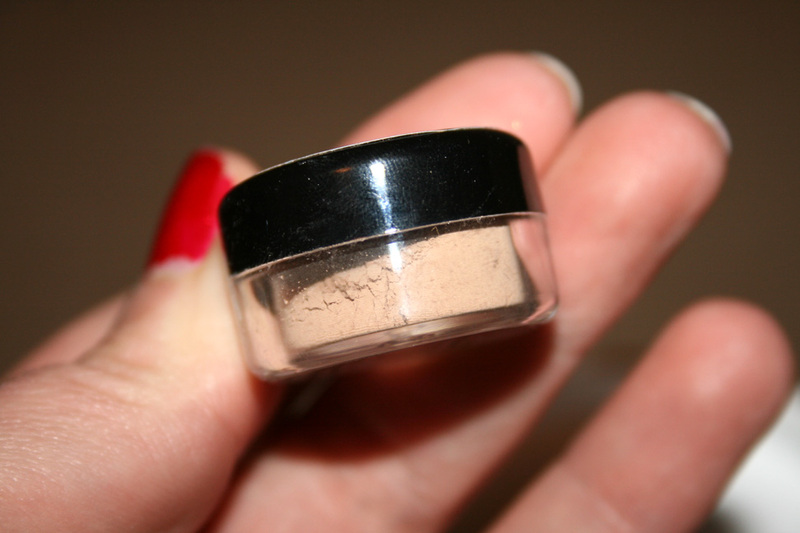 This is a 3 in 1 product: a foundation, concealer and powder. You can read a little about it on the package here, I won't bother re-typing the same info. I know it says Topbox exclusive, but we have received this in a Beauty Box 5. Then again, maybe Topbox has the exclusivity to the Canadian beauty boxes. This is the deceivingly cute container that the product comes in. This is a pretty accurate picture of the colour of the contents. Perhaps a fraction of a shade darker but not anywhere near as dark as my pics below. I received light medium beige. Before opening my jar, I knew it was going to spill everywhere because of the same thing happening with my Ferro sample from BB5. 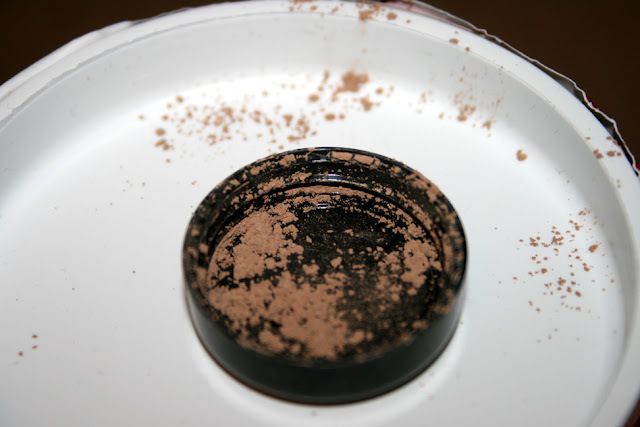 So, before I opened it, I shook and tapped everything to the bottom of the jar as best as I could and as you can see...tons of product all over the rim and lid. Booo to the packaging. 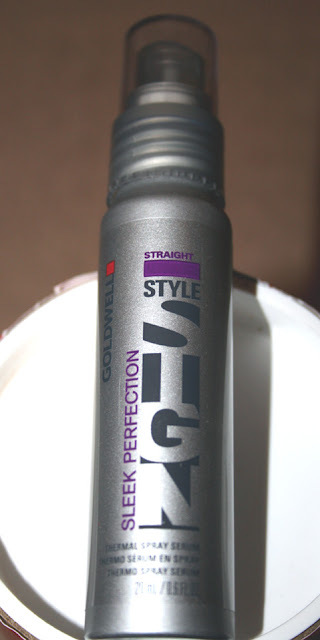 Goldwell Sleek perfection Thermal Spray Serum. Full size is 100ml valued at $20.95. Sample size is 20ml valued at $4.19. I personally love receiving products like this that are supposed to make hair silky straight. This is sprayed on dry hair prior to straightening. I buy these all the time and they never live up to my expectations. That said, I'm really bummed that my bottle is only half full. I opened it and yes, it was the case. Topbox would like a picture of it being half full. REALLY?! How am I going to take a picture of a metal bottle half full? Even if I took the picture from the top, opened it would be nearly impossible. Whatever, I'm over that. 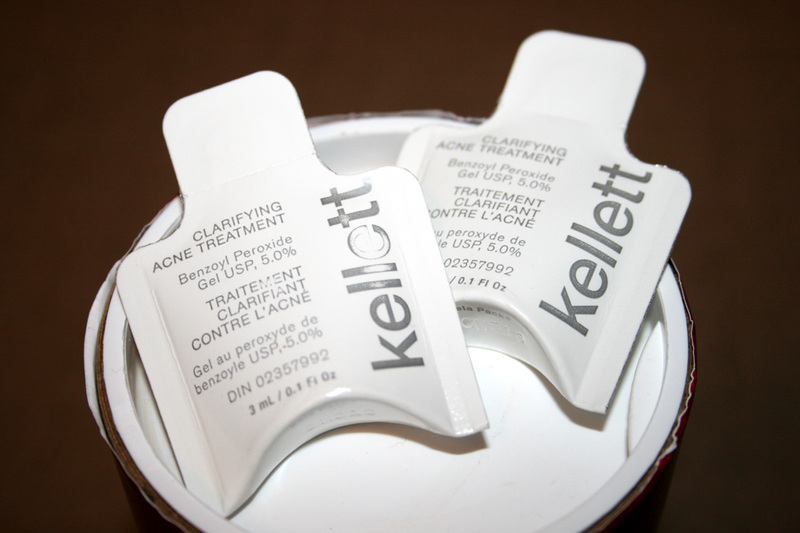 Kellett Skincare Clarifying Acne Treatment. Full size is 50ml valued at $75.00. Sample size, 2 packets for a total of 6ml valued at $9.00. I get the occasional pimple, but I don't really have an acne problem. Topbox has been a bit annoying about peoples concerns when they bring them up, "It's perfect for oily skin, it's perfect for sensitive skin, it's perfect for <insert your skin type here>." I personally, am terrified to even try this now considering people have been getting some severe reactions. There was even a picture posted. Girls mentioned they emailed asking about the ingredients and they weren't giving up the info. UGH. I don't know what I'm going to do. Topbox was really good in getting my replacement polish from the explosion last month. I was really happy and wasn't sure if they'd actually remember. I don't know how they can manage to keep track of who needs replacements and what box they go in. 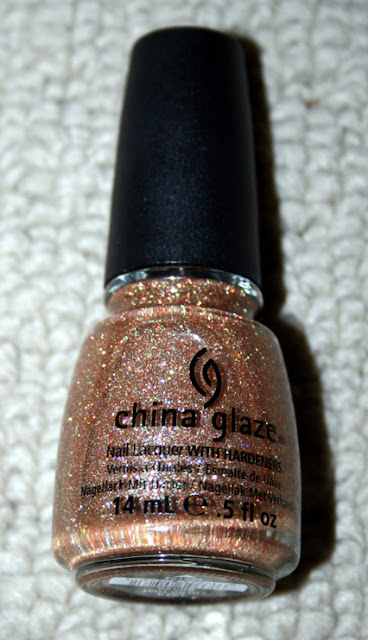 This is China Glaze in I Herd That. I was really happy to receive the same colour! 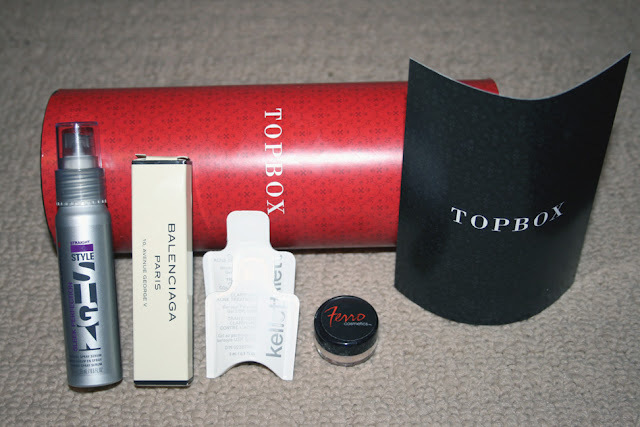 This was the complete contents of my December Topbox. Not overly thrilling, but some good products to try out. The value of this box is approximately $24. I pay $12 plus tax for the box to be shipped to me. How was your box. Have you tried anything yet and what did you think? Hi Natalie! Let me know if you want a referral link...I'll send you one via email. I heard that people get through faster with a referral. I waited 8 freaking months..no referral! Anyways, this wouldn't be my first choice for a box if I was recommending boxes. Have a look at some of my other subs...there are better! 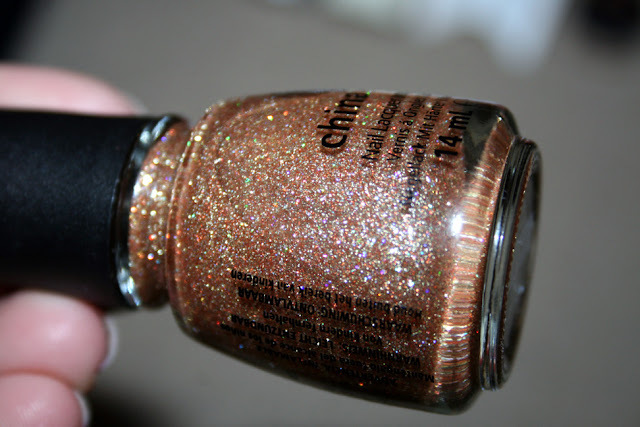 i'm super fascinated by cosmetics found in other countries that are unavailable in the states. if i ever get to travel as much as i've dreamed of including visiting several places in Canada i will make sure to stop by a SDM and check out Quo brand! i don't know if you would possibly be interested in doing some sort of swap at some point in the future of beauty products not found/not easily found in our different locals? yes, that is actually a good way to do it! Thanks for the suggestions. I think at this point I'm just so over it lol. And yes, I am now getting Ipsy...what a fabulous bag. Unfortunately for us we have to pay an extra $5 for shipping. On the plus side it's still totally worth it! I was one of the people who got the Benefit mascara, I think all Canadians did actually. And I do prefer Bad Gal, but it's kind of an unfair comparison because I have not yet tried They're Real lol. I do have a couple kicking around, so let me know if you would like to try one maybe we could do a Canada/US swap! Girls' Best Friends - Pink and Sparkles!